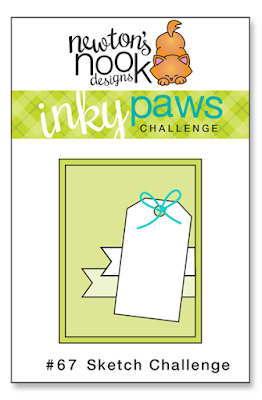 Inky Paws Challenge #67 Winner! Tracie's sweet card is perfect for spring! 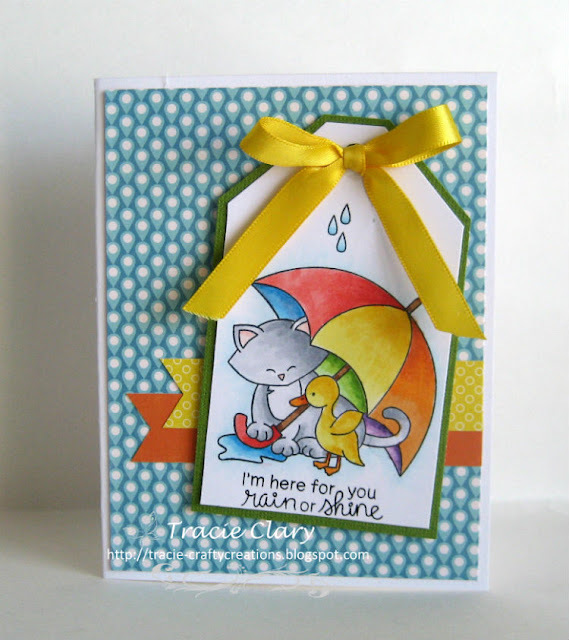 Her blue background mimics raindrops which works wonderfully with the bright umbrella and cute critters from Newton's Rainy Day stamp set beneath it! Gail's fun get well card will certainly brighten someone's day! 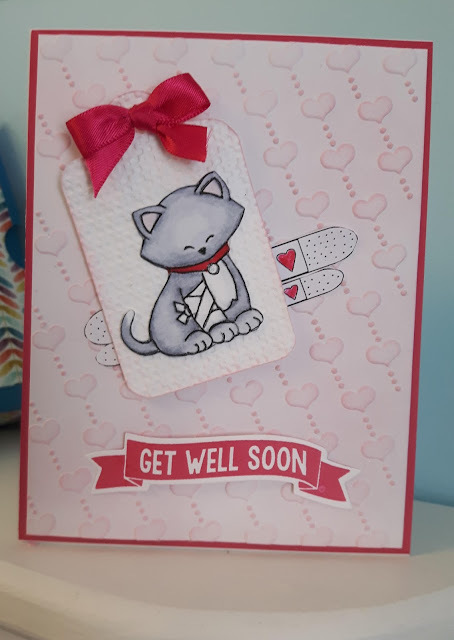 We love how she used the bandages under the tag to compliment poor Newton from Newton's Sick Day stamp set with his injured leg. 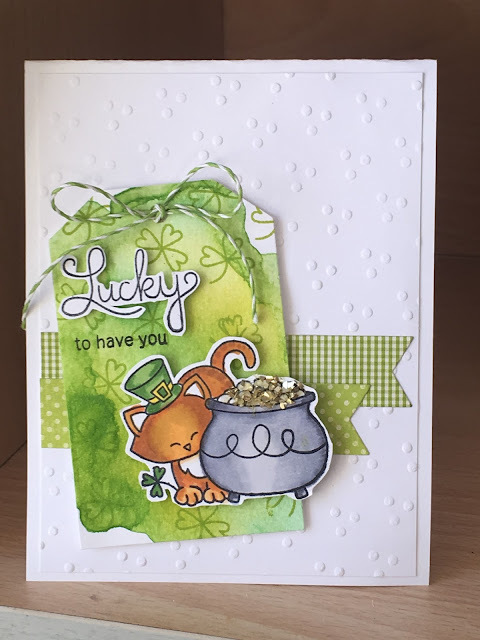 Sue's tag featuring Newton's Pot of Gold stamp set is just the cutest and perfect for St. Patty's Day! We love all the details and patterns Sue incorporates in her design! Angie's stunning umbrella with the shimmer of rain on it and her CAS style just wowed us! 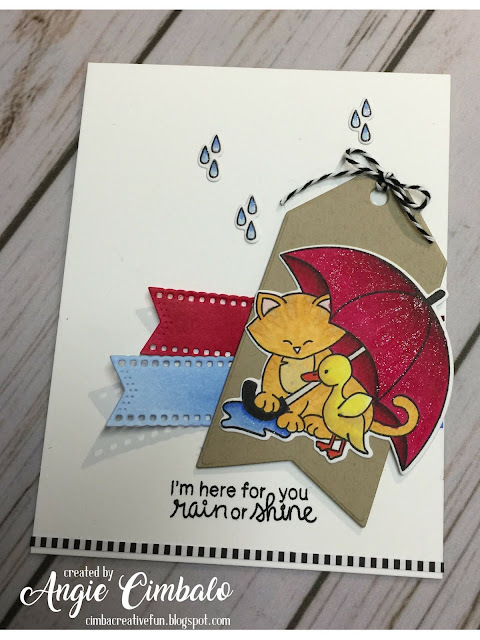 Such a sweet card with the little raindrops, too! She is showcasing Newton's Rainy Day stamp set. 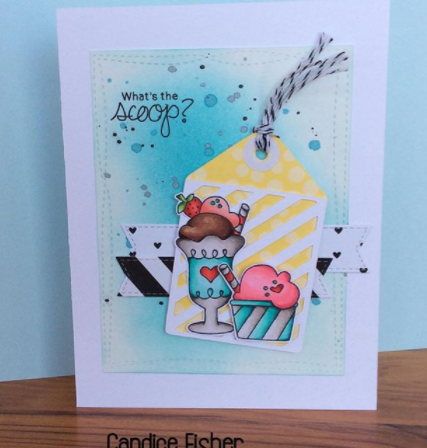 Candice brings us this bright, color card featuring yummy treats from Summer Scoops stamp set. We love all the colors and patterns Candice uses! Fun! Sarah's use of the frame of the tag is a fabulous idea! 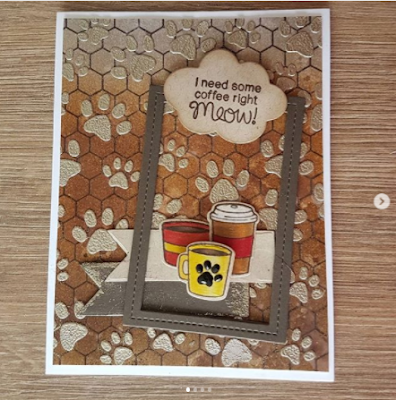 We love how you can see the whole background with all the cute pawprints. Sarah is showcasing the stamp set-Newton Loves Coffee. Thanks so much for the shout out! You just made my day! Love all the creations following the sketch - thanks for all your work and for hosting this fun, fun challenge! Hey guys!! Thanks for showcasing my card this week. I am flattered!! I would love to get the favorite badge for my blog, not sure how it works? And you made me feel so special!